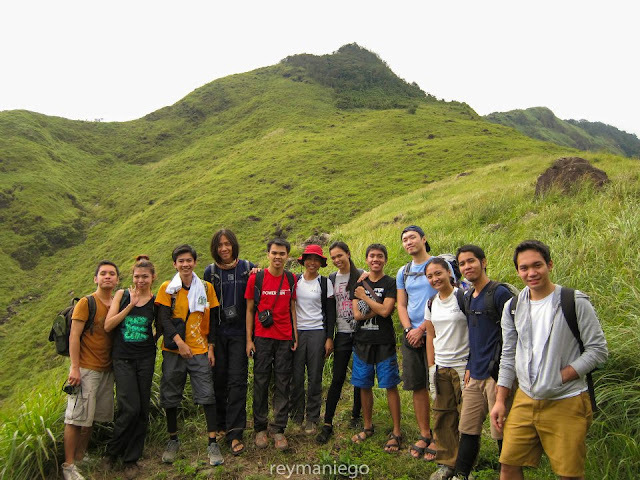 • We completed the whole dayhike in more or less 13 hours: 6 hours ascent, 3 hours at the ridge, and 4 hours descent. • I noticed more fallen trees obstruct the trail starting from Nanay Kurding's place. • We did not reach any of the peaks: Tarak Peak and El Saco Peak, because it is much more fun to sleep at the ridge. • We failed to catch the last trip of Mariveles to Manila (last trip is at 7PM), so we took a short trip to Balanga City to catch the last trip back to Manila, but then again, we failed to catch that trip (last trip to Manila from Balanga is at 9PM). So we waited at Balanga City terminal until 1AM to catch the first bus trip to Manila. • I haven't tried camping at this mountain yet, or do a traverse to other side of Mariveles mountain. Hopefully I'll accomplish both on my 4th hike on this mountain. • I would like to congratulate my friends, Byron of peculiarhours.com and Andrew of trippingsbydrew.com for completing their first major climb. I would also like to thank Karina and friends for organizing this climb. For a more detailed post, check out my first article on Tarak Ridge Dayhike, itinerary and budget on a separate post here. Pasaway ka talaga haha! Pero sincerely Salamat dude! Muntik nakong mamatay (at magpakamatay) pero you helped me out. Idol na talaga kita hehehe! Next time I promise unahan na tayo hehehe! i agree, naranasan ko ang sobrang lamig dyan.. tanghaling tapat pero nangangatog kami sa lamig. Did the motorcyclist paid for your doctor's bill? I'm glad you did not suffer more injuries than you did - ingat lang. Like I told you before, as much as you love climbing mountains, there are still people worried about your condition. It would've been... a little more sensitive had you followed the doctor's advice and taking another week of resting. Worried lang nanay mo! Hahaha.